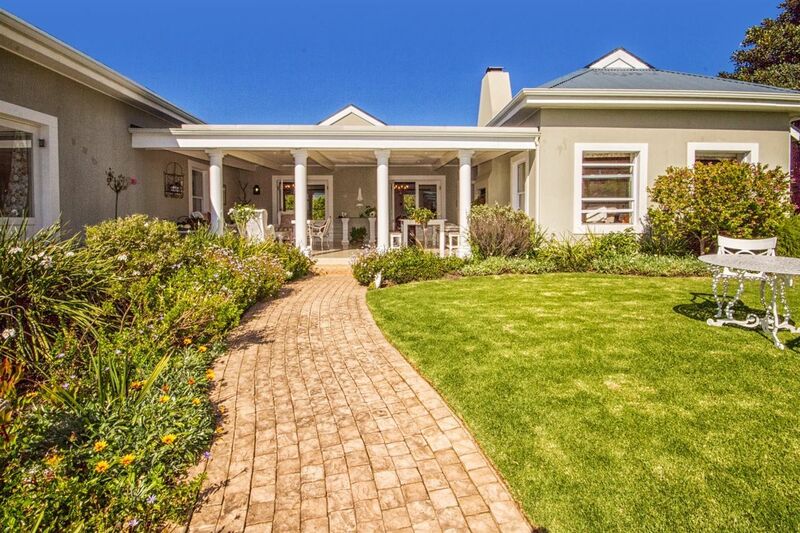 Sign up and receive Property Email Alerts of Houses for sale in Brackenridge, Plettenberg Bay. NORTH FACING, GRACIOUS AND CHARMING HOME BORDERING ONTO GREENBELT. This simply charming, north facing home offers total privacy and is situated in a quiet area of Brackenridge. Easily accessible to the main gate, the property is sheltered by the undulating terrain from the prevailing weather and is bordered on two sides by greenbelt. The contemporary architectural footprint and large covered patio provide for gracious al fresco dining and fabulous indoor outdoor entertaining. Set over one level, with top quality finishes, the property has the added benefit of a self-contained flat with private entrance. It is the ideal home for those wishing to retire or downscale in a top security estate. The finishes throughout are neutral and provide the perfect canvass for one to set the mood and style of the home. So, if you require a holiday home with colours and furnishings reminiscent of the ocean or are an antique collector this home will graciously accommodate and show off your furniture. The home has three bedrooms the main bedroom being en-suite, north facing, with a door leading into the garden and patio area. All bedrooms are well proportioned with generous cupboard space and fitted carpets. The main bedroom has particularly generous cupboard space and draws. Both bathrooms come with bath and shower, marble vanity tops and heated towel rail. There is a separate guest loo and very large linen cupboard. Underfloor heating is present in the living and dining areas and kitchen as well as under carpet heating in the main bedroom. There is a gas connection is the TV room should one wish to incorporate a gas fire place into this area. The bachelor flat has its own private entrance and comprises large open plan bedroom/living area with kitchenette and en-suite bathroom. In addition, there are staff facilities. A beautifully maintained herbaceous style indigenous garden and particularly large double garage with automated door completes the picture. Sign-up and receive Property Email Alerts of Houses for sale in Brackenridge, Plettenberg Bay.